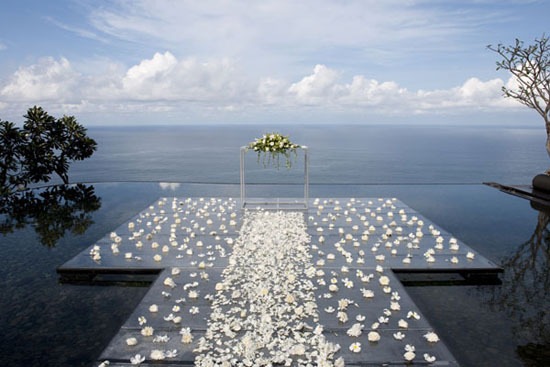 Welcome to your go-to destination for wedding decorations and ideas for your big day. If you're looking for ideas and inspiration to create your theme wedding, but want it to be chic and elegant, instead of overtly "theme-y", look no further. This website is filled with simple design tips, ideas and solutions to help you create the perfect wedding theme. Learn all you'll need to know about choosing, planning and shopping for your favorite wedding decorations. I want to help you pull off the theme wedding you have always wanted. If budget is a big problem, but you've been planning your theme wedding forever, don't fret! I specialize in pulling together the right elements at the right price for my clients, and I'll do my best to present fun and inexpensive wedding theme ideas for you to use. I'm constantly updating and adding to my site, so check back for the latest updates and wedding theme trends. Are looking for creative and fun ideas, that will set your wedding theme apart from all the rest? Wedding themes can be fun and exciting, but sometimes choosing the right theme can be a pain. There are so many ways to express wedding themes. Do you choose a beach wedding theme to plan your decorations around, or an item like a peacock feather for inspiration? I hope to help you make some of the tough choices, and eliminate just a little stress in what can be the whirlwind of wedding planning. Would you like to share your knowledge about wedding decorations? Contribute to www.wedding-reception-decoration-ideas.com!